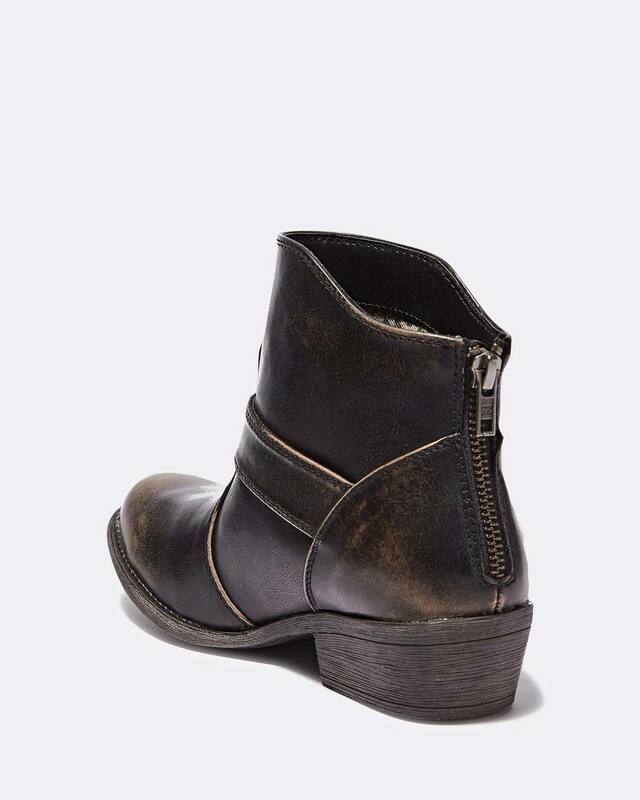 Look to the West for standout style. 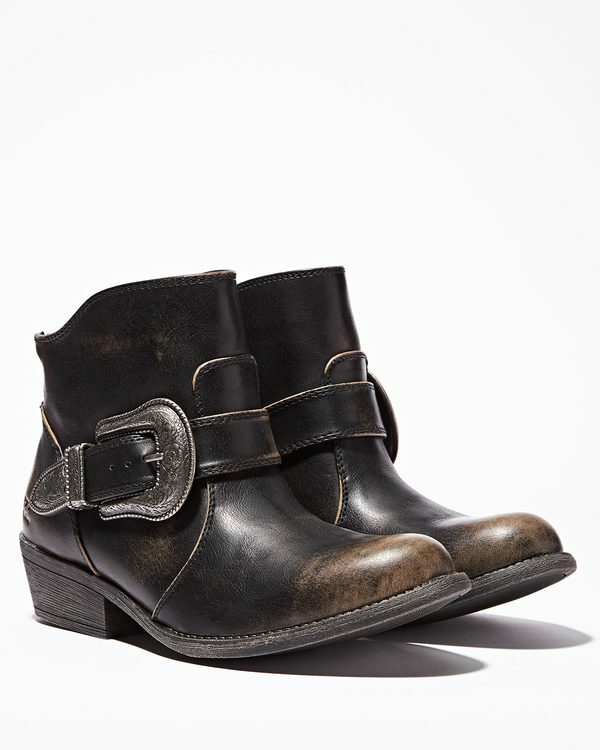 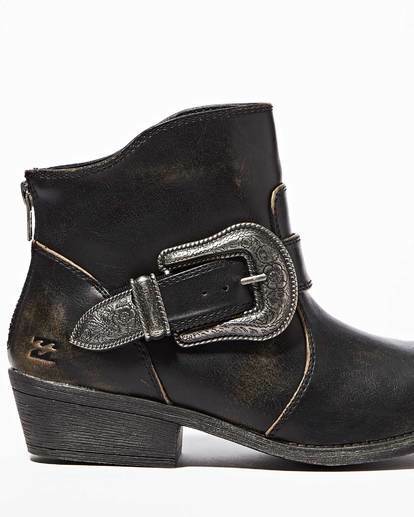 Trimmed with a large antiquated metal buckle, the western-inspired bootie features a worn-in vegan leather and mid ankle height. 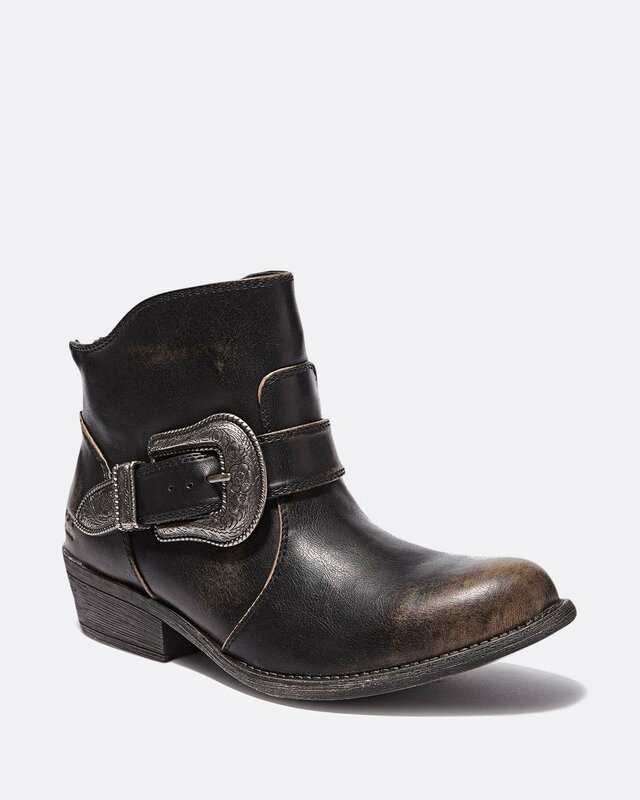 Strap and metal buckle trim.